Hey everyone! 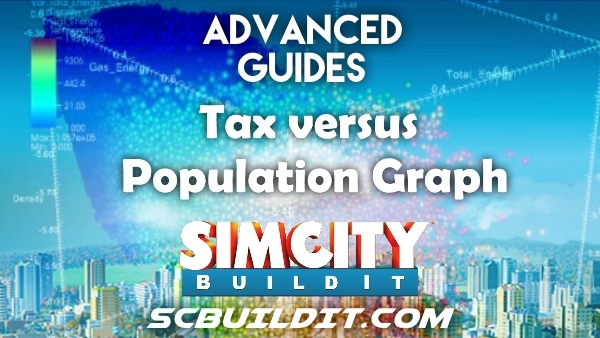 Here is a quick post on SimCity BuildIt – Taxes & Population. >As a refresher, taxes accumulate daily based on how many Sims are living in your city. You collect these taxes by clicking on the gold coin that floats above your City Hall building. Here is the tax screen (don’t worry, it will display ‘taxes’ in your primary language :D). It is very important to keep your Sims happy (above 90%) to gain the 20% tax rate, otherwise you will receive LESS tax revenue. If you need more information on how to keep your Sims happy, please check out our guide here. EDIT: Updated to v.2 with your data points! Thanks for contributing! 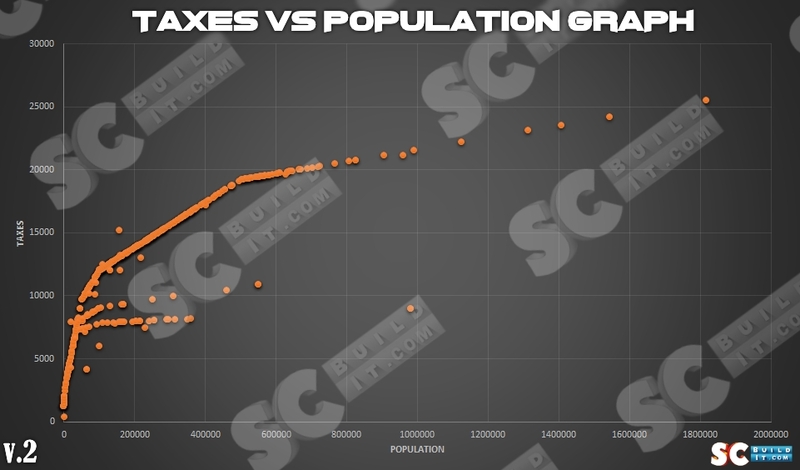 This comes from sgitkene over at /r/scbuildit who decided to collect some data on taxes and population. The graph below I created using their raw data available here. Visually, you can immediately see a sharp rise in taxes between intervals 1,2 and 3. 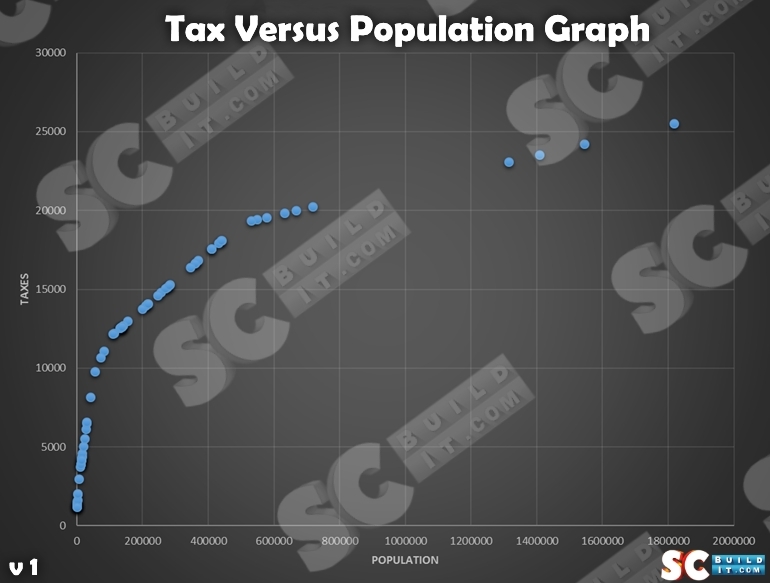 In interval 4 between 100,000 to 500,000, tax gains level out even more. The last interval between 500,000 – 1,800,000 (for now) sees another slowdown in tax gains. We will see if the Tokyo Town update effects any of the tax rates. Interestingly enough, there looks to be several trends forming below our main line of best fit.These could be evidence of some players seeing a drop in taxes. Want to help the community out? Now that Tokyo Town is out, I’ve separated the old data entered previously with any new tax information we receive. If any under the hood tax changes were applied, they will not get mixed in with the old data. If you would like to contribute to this guide, please enter your city’s population and tax amount in this Google Form. EDIT: Thanks to all those who have submitted their population and tax data! We have more than doubled our data set! Keep on reporting! Biggest SimCity BuildIt Update To Date! Adds Tokyo Town Theme + New Buildings + Bug Fixes! SimCity BuildIt: How to Get Expansion Materials FAST! © Copyright 2015 ScBuildit.com - Unofficial Website: We are not affilliated with EA in any way. All trademarks are property of Electronic Arts Inc.